This USB 2.0 cable connects your iPhone, iPad or iPod with Lightning connector to your computer’s USB port for syncing and charging. You can also connect to a USB plug to charge your device too. These are the original MFI Certified Apple Cables. 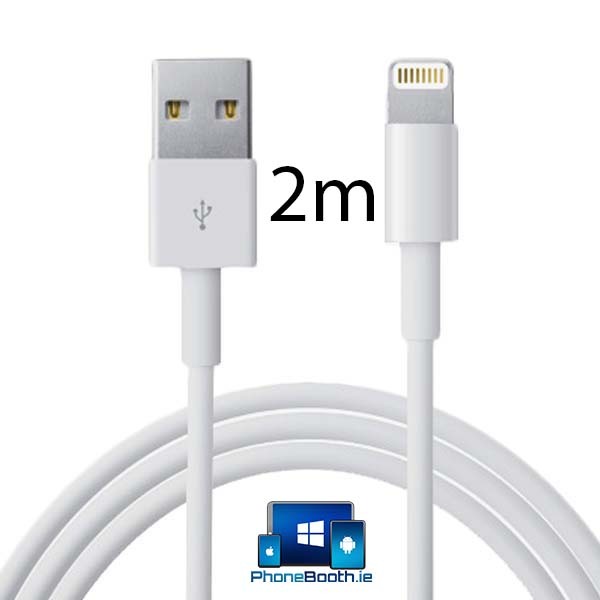 Make sure you see the “Made For iPhone” logo on your charging cable when you buy them. 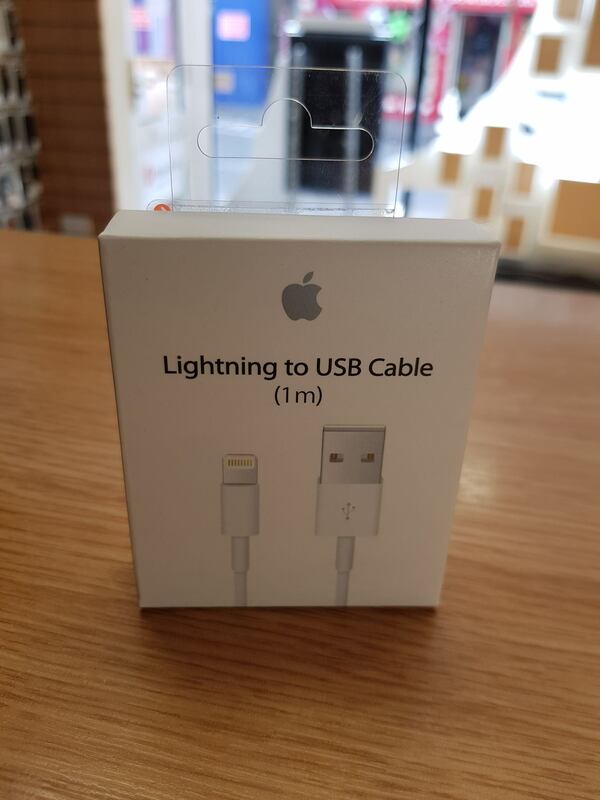 We highly recommend only using MFI Certified cables to charge your device. Using un-certified lightning cable will shorten the life-span of your battery and may damage the charging circuit in your device. We know this because we are also a repair shop and we see this type of damage on a daily basis. Those €2 cables that you thought were a bargain, will end up costing you in the long run, lead to a costly repair or a forced early upgrade. Read more about it on our blog post here. iPhone 5, 5C, 5S, SE, 6, 6S, 6S+, 7, 7+, 8, 8+ & all X models! Why don’t you keep up with us on Facebook and instagram now!